We are a family owned and operated air duct and carpet cleaning company. Our goal is to provide the highest quality service possible. 4 Seasons' technicians are professionally trained to thoroughly clean your air ducts and carpets, respect your home and furniture, and provide information about the importance of indoor air quality. 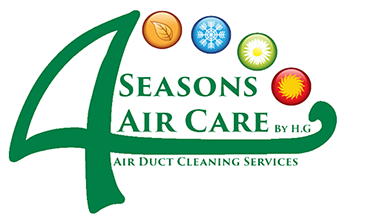 Let 4 Seasons Air Care be your partner in maintaining a healthy home. Call us! Our customer service reps are more than happy to offer a free consultation and answer you questions or schedule your appointment.